On September 11, 2001, I found myself outside of the Pentagon, on assignment. A few months ago, the Smithsonian asked if I would donate those images to the museum's collection, and I was honored to make the donation. As it turns out, they were doing a special on 9/11 for the Smithsonian Channel, and asked if I would sit down to discuss some of those images. Their special begins showing this coming week, with previews online now. 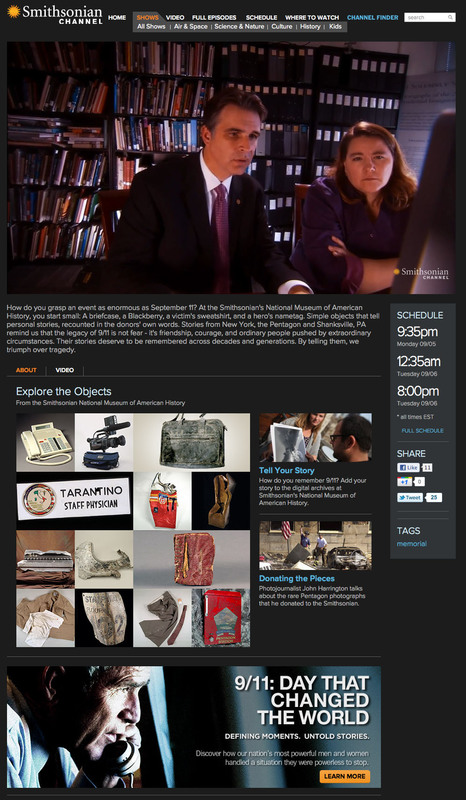 A segment and some of the images that were donated appears in the section on the show's main page, under "Donating the Pieces", which can be seen by clicking here.